"Do my students really need to learn to code?" I think what is really behind this question is, "If I'm not a programmer, is this really useful to me?" To which I respond a resounding "YES!" Here is why I believe it's so important. When a weight lifter goes to the gym, they're not exercising with the expectation that they'll come across a barbell shaped problem, but that their workout will prepare them for whatever obstacle they may come across. This is the same with most education and especially coding. Coding is a mindset that exposes students to critical thinking, troubleshooting, and especially problem solving. Not only do students need to dissect the problem they are motivated to come up with the most efficient solution. And when something inevitably doesn't work as planned, they need to iterate, iterate, iterate because that's how coding works. It's important for student to develop the patience to unpack a problem and make thoughtful adjustments and methodically test the results of their changes. This is a difficult skill that is important for kids to develop. If you are worried your students may not have the background needed, if your students have basic math skills they're ready to get started. Like anything, it's the application of the knowledge that is important. On this point, there's an apocryphal story about mathematician Carl Gauss that relates here. The story goes that when Carl was 8 years old his teacher assigned the class the task of calculating the sum of 1 to 100. Basically mathematical busywork. Most students dived into the onerous task of 1 + 2 + 3 + . . . + 99 + 100 which they certainly could figure out given enough time and pencils. Gauss deduced that when you pair the first and last numbers: 1 + 99 = 100 and 2 + 98 = 100 and 3 + 97 = 100 you get 49 x 100 = 4,900. And throw in the remaining 50 and 100 for a grand sum of 5,050. So, instead of taking the afternoon to calculate the result, it took him a few minutes. Now, there is some debate if this story is true, but the point is that with a basic skillset, he applied a creative way to address the problem. That's coding at it's finest. There's usually a 'brute force' method like actually added all the numbers 1 to 100 but with practice students begin to uncover techniques they can use. There are numerous sites that offer coding courses and lessons online. Here are some of our favorites that are organized from simpler and straight forward to more complex and open ended. This is not a comprehensive list (for example we do some Minecraft Coding in the middle levels) but the criteria was that they have a free version and can be accessed with a Chromebook. Code.org includes the Hour of Code projects which is a great place to start, but much more. The site is split up by ability level and has a ton of lessons where kids will recognize the characters they are moving around the screen. These include Star Wars, Minecraft and more. 3) Scratch is the language students were introduced to in CS-First and again uses the block programing metaphor. An important aspect of Scratch is the remix. Students can 'see inside' another coders work and remix it. This furthers the idea of sharing and learning from each other. It also provides a more open ended platform kids can build whatever they'd like. Tynker is another block based programming language and a great compliment to Scratch. It's designed for mobile input and will work on an Android enabled Chromebook. One of the best aspects of Tynker, is that it easily connects to devices in the real world. These include Sphereo's, Parrot Drones and more. Once students are comfortable coding on a computer, there are substantial benefits for them to see the results of their work in real life. Moving a character across a screen is cool, but very game like, where sending instructions to a physical object and having it react is very rewarding! Parrot Blockly - This system is specifically for Parrot Drones. The benefit is any laptop with Chrome and bluetooth can connect to the drone. You do not need a tablet or mobile device to fly it. Code Combat - This site will appeal specifically to students who are interested in a game-like environment of coding. Students can select which language syntax they will learn. It covers a range of topics but if you're not into that style of interface it may not be for you. MIT App Inventor - If you're looking for mobile app development, this is a great place to start. It is currently for Android only, but looking to crowd source the funds to add iOS. Once you've created an app, it's pretty easy to get the results onto your device and see the results! Code Academy - Moving away from the blocky or graphic based coding options, this site also has you select your programming language of choice, but has great tutorials that guide you through the process. This is a more realistic development environment that is text based and displays the results of your code as you tweak it. Google Script - Students can use the scripting option to build tools and see the results already included with their Google Accounts. While there are no tutorials built into the system, there are plenty of tutorials found online. Here it's worth mentioning the site: Stack Overflow. Not a resource I would use with younger students, but an invaluable online community of other developers willing to help and share tips on coding. Caret - Finally, if you are looking for a more realistic development environment check out Caret. Totally open ended for students looking to work with the tools of the trade. One of my favorite experiences in education is introducing students to coding (especially during the the Hour of Code week!) and watch the light bulbs go off and hands raise around the room as they code, play, and learn. So, check these sites out or better yet, have your students check them out and learn by coding! Education Report - RSU19 from Maine Public Video Production on Vimeo. 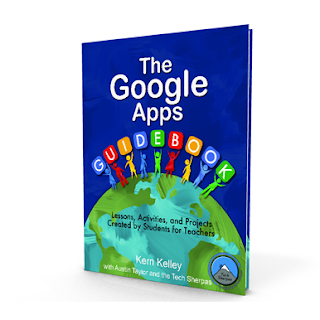 Get your copy of The Google Apps Guidebook today! Tech Sherpa Show - Episode #69 We're Back! This hosts this week are Nick and Brandon. 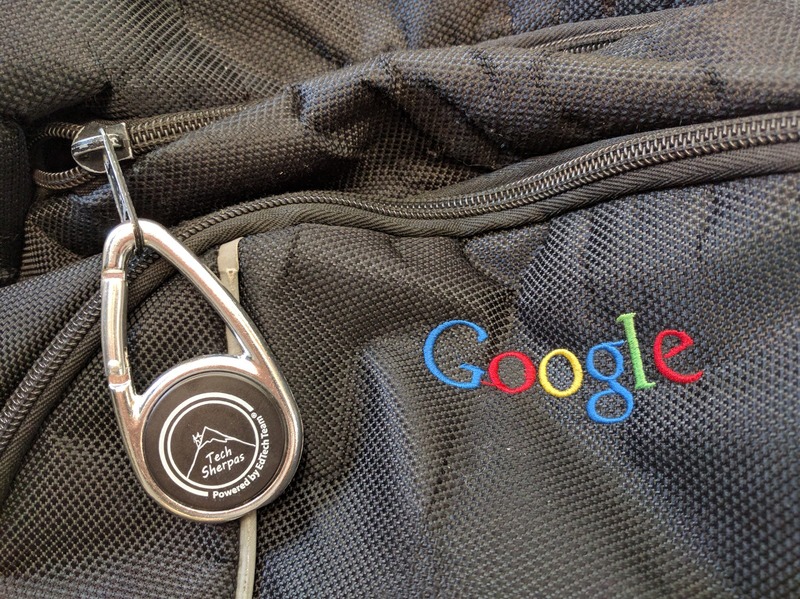 For the next few weeks, we will be covering the chapters found in our Google Apps Guidebook. We will go chapter by chapter and discuss the highlights and tips from each lesson. We also talk about the Student Summit Grant winners! for purchase in paperback or e-book versions! 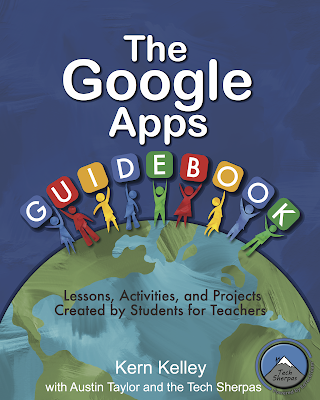 The Google Apps Guidebook is a set of student created lessons, activities and projects for educators to use in their classrooms. 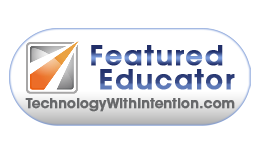 Each lesson connects with a component from the Google Apps for Education suite of tools. Each chapter introduces an engaging project that applies numerous aspects of each tool. Projects are differentiated for a variety of age ranges and can be adapted for most content areas. Upon completion, students will have a thorough understanding of the tools included with their Google account and a collection of cool projects they created! All profits are used for students to provide support to more educators. Thank you for supporting the work for Kern Kelley and his Tech Sherpa students. Click HERE for information on bulk purchases. The Tech Sherpa Show: Episode #70 Announcing The Google Apps Guidebook! The lessons and activities found in this book are designed for educators to teach students about Google Apps for Education. The hope is that these students will then go on to teach others and learn through the process. Please fill out this form to Pre-Order the Google Apps Guidebook. In 2012 I was invited to present at the Google Teacher Academy in Google’s New York City office. Now known as the Google Certified Innovator Academy, this is a professional development opportunity for educators from around the world. At the event, educators receive learning from teachers and Googler's. I was thrilled to be involved and wanted to share the experience with my students. I asked the Google in Education team if I could bring them to present with me and they enthusiastically agreed. Since that time, my long term goal has always been to work with students, teaching and providing experiences for them to give back to the educational community. We called these students Tech Sherpas. A helpful guide for anyone who needs it. During the years my students and I have produced a live technology support show and presented at hundreds of conferences. That work has culminated into a book that will be published soon. The lessons and activities found in this book are designed for educators to teach students about Google Apps for Education. Ultimately, these students will go on to teach others, learning throughout the process. This dream came to fruition at the EdTechTeam Student Summit in Dallastown Intermediary School. While no one knows what will come next, we do know that whatever happens, these students are prepared for anything.